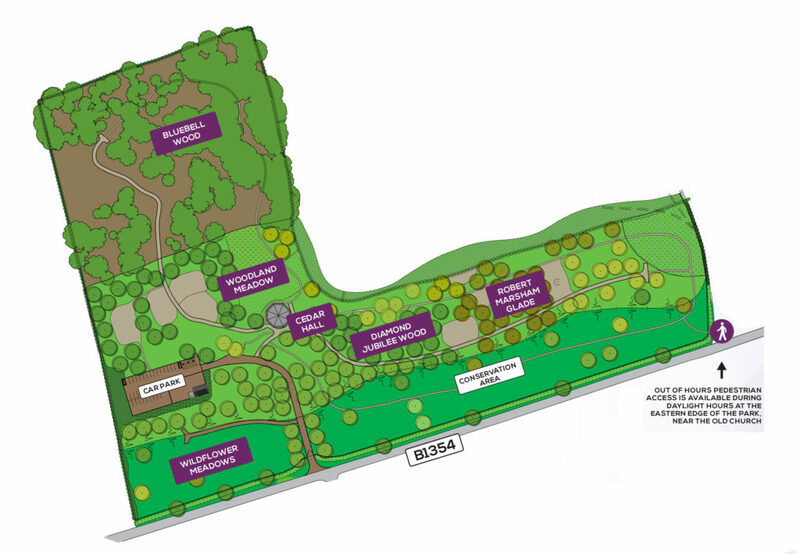 The opportunity to connect people and nature has been the guiding principle for the creation of Norfolk Bluebell Wood. The Park has four peaceful habitats for you and your loved ones to revisit; to reflect and remember throughout the seasons. We have prepared a map to help you orient yourself in the park. Of course, we would be delighted to show you around in person. Please contact the office to arrange a suitable time. We look forward to welcoming you to Norfolk Bluebell Woods.